Writing with fountain pens can give your written words a lot of character. Some properties of fountain pen inks can give them even more character. 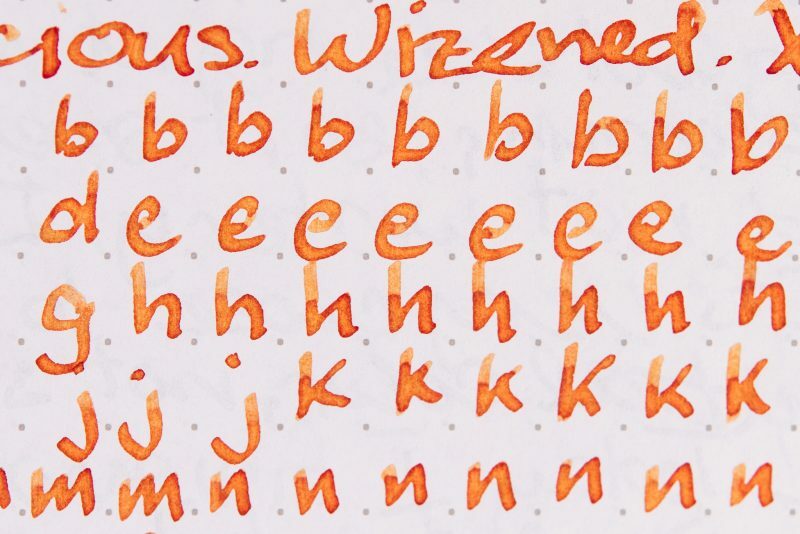 In this post I want to discuss shading and suggest a few ways that you can get better shading from your fountain pen inks. What Is Fountain Pen Ink Shading? If you’re not clear on what shading is, it’s probably easier to show you than to explain it. Still, a quick explanation would help you to know what you’re looking for. Basically, shading occurs when ink is distributed more thickly in some parts of your writing than in others, which makes some parts darker than others. For more detail, be sure to read the my fountain pen ink shading article. For now, here’s a photo that should give you a good idea of what shading looks like. To get better shading, we first need to know what affects shading in the first place. 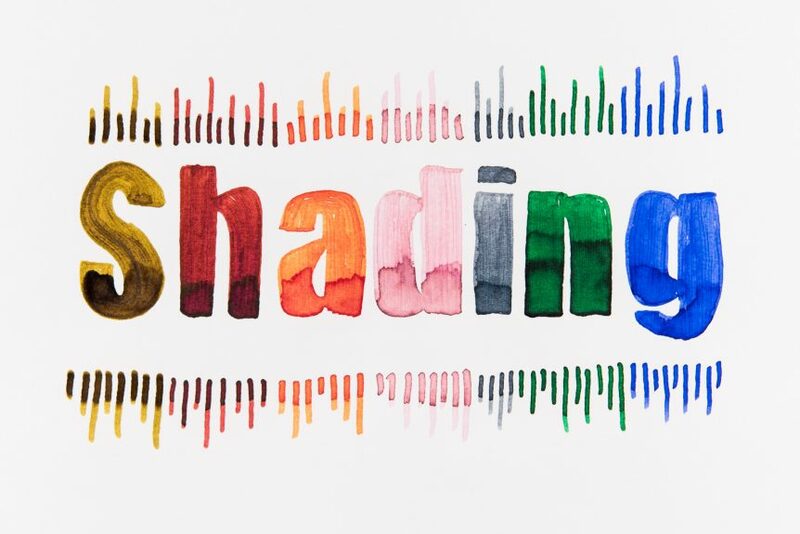 It might surprise you to learn that your pen, paper and ink all work together to create different amounts of shading depending on which combination you use. Let’s look at each one individually and see how they affect shading. The pen that you choose to use will have a big effect on how much shading you see. Typically, the finer your nib, the less shading you’ll have. Why is this the case? In order for an ink to shade, it needs to spread and gather on the paper as you write. A fine nib doesn’t usually lay down enough ink for it to spread out and create shading. You’ll usually get better shading from a broad or a flex nib that puts down a lot of ink on the paper. Although it might not seem like it, the paper that you use can also have a significant effect on how much shading you see. If your paper absorbs the ink too quickly, it won’t have a chance to pool and spread and create shading in your writing. This ink has much more dramatic and contrasty shading on good paper. Although the same exact pen and ink were used, on this paper the shading is not as dramatic and harder to see. The ink that you use will usually have the biggest impact on the amount of shading you see. Some inks have a very high amount of shading and others have no shading. The color of ink will also play a big part in how much shading you see. Inks that are extremely dark or are very saturated might actually shade a bit, but it is almost impossible to tell because there is so little color variation. Now that we know what causes ink shading, we can figure out how to get better shading. 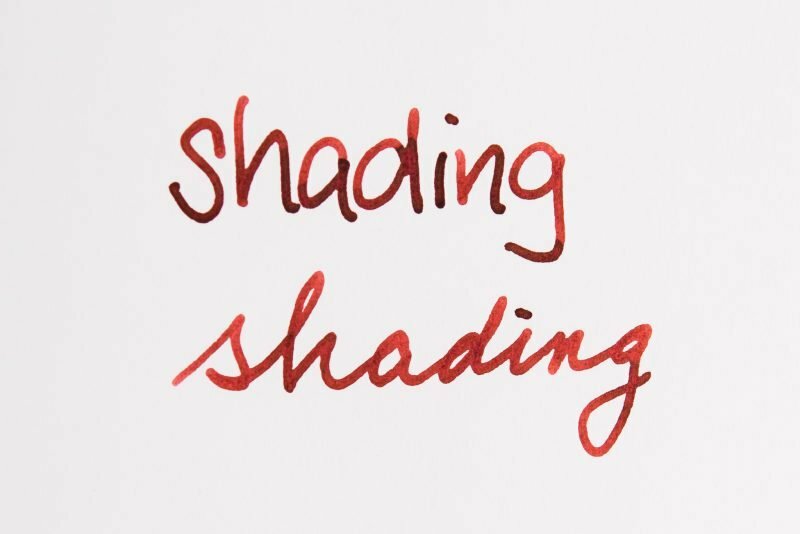 It goes without saying that all of the different pen, paper and ink combinations you choose to use will give slightly different amounts of shading, but let’s look at the things you can do to make the biggest improvements to how much shading you see in your writing. If you want more shading in your writing, one of the first things you might try changing is the pen that you use. If you usually use a pen with a fine or dry nib, try switching to a pen with a broader or wetter nib. I get excellent shading when I use stub nibs like the one in my TWSBI. You can also usually get better shading by using a nib with some flex. 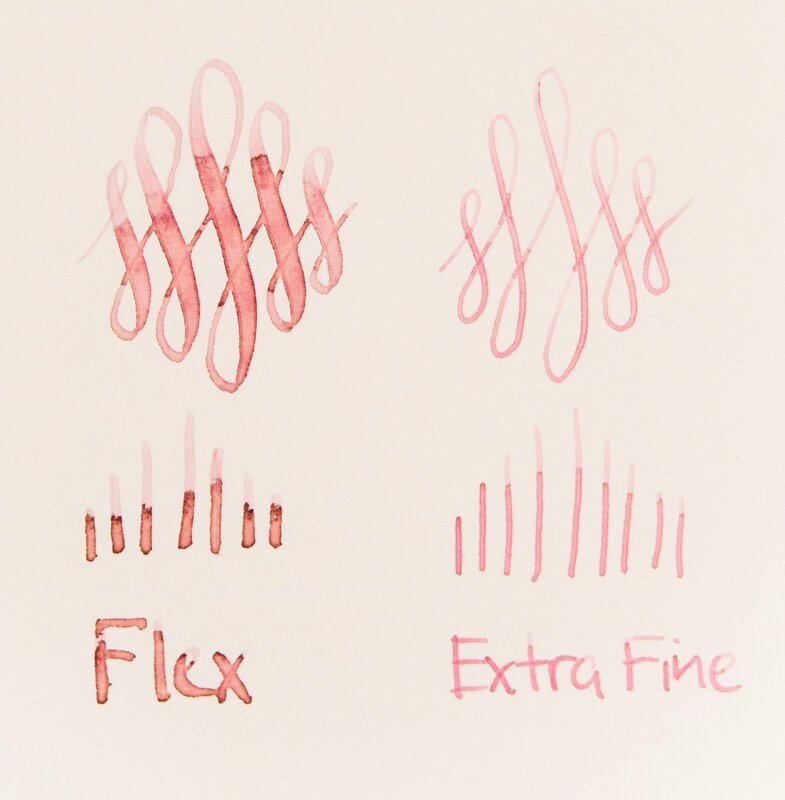 One thing to be aware of is that if you use a flexible nib that puts down too much ink, you still may not see any shading, simply because the line of ink that the nib lays down is too wet for the ink to spread and shade. Another great way to get better shading is to use different paper. While there is no exact way to know how much shading any given paper will have until you use it, in general, papers that have longer drying times will have more shading. Some great papers to use for good shading are the Apica CD 15 notebook and Maruman Mnemosyne notebooks. 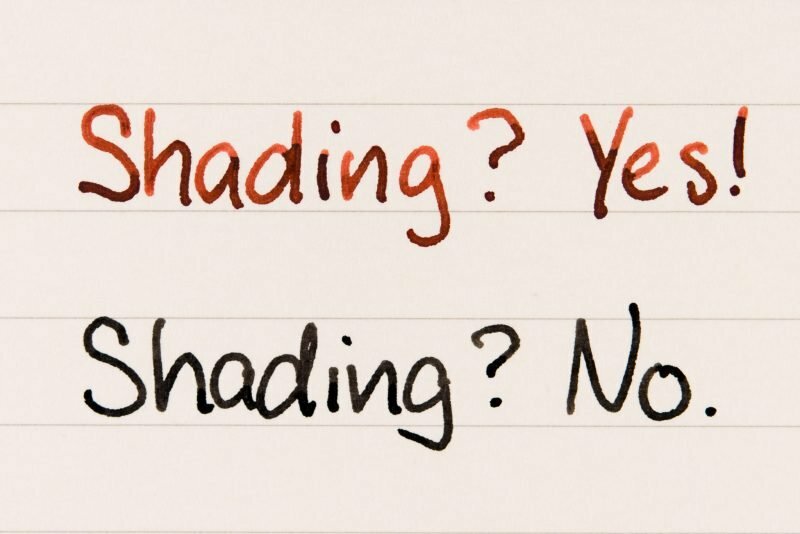 The biggest change you can make to get better shading in your writing is to use an ink that is known for having good shading. Simply put, some inks have amazing shading and others do not. Figuring out if an ink has good shading is as easy as looking up some image samples. You can also look for lists, such as the ridiculous (in a good way) list on Mountain of Ink. Some of my favorites are Diamine Autumn Oak, Caran d’Ache Infinite Grey and KWZ Old Gold. Another way to get better shading that a lot of people don’t think about is to change the way you write. 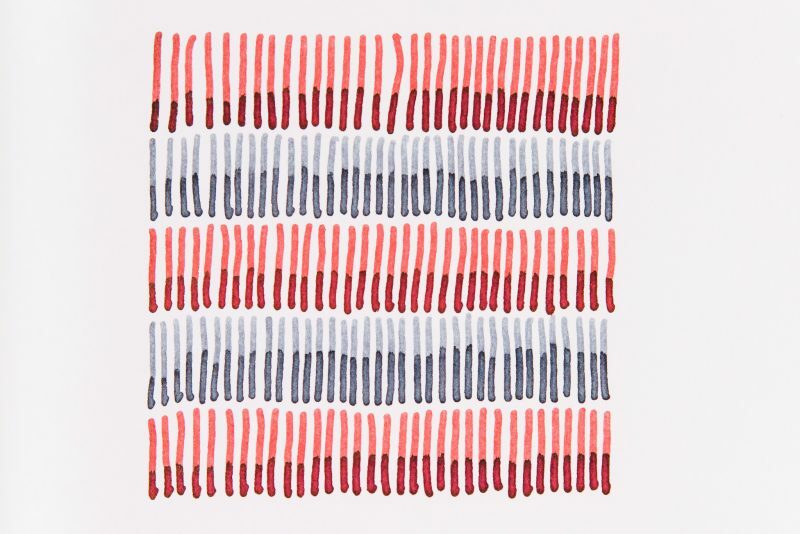 If you draw a few vertical lines with a pen/ink/paper combo that shades, you’ll notice that each line gets split at some point with a dark and light portion. Some lines split closer to the top, while others split closer to the bottom. Here’s an example of what I’m talking about. 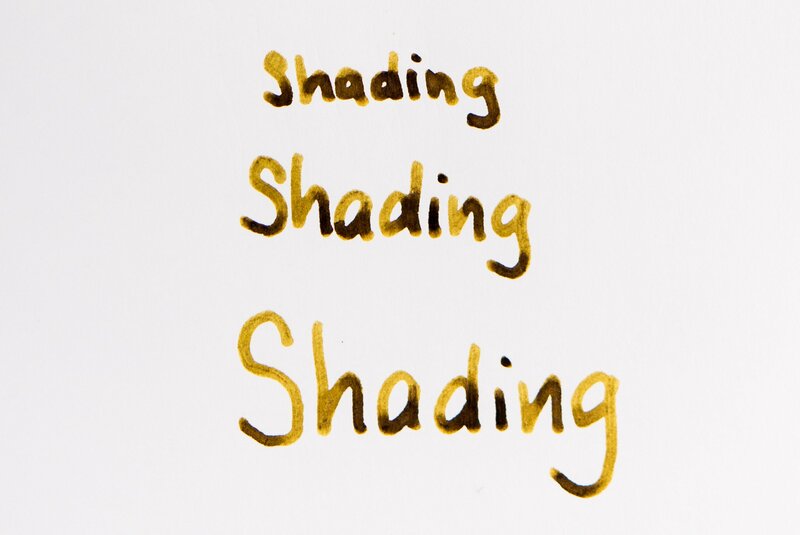 You already know this is the ink shading, but you can use this information to increase the impact of shading in your writing. The height of the dark portion of the ink (at the bottom) is the length of the line in your writing that won’t shade. This means that if you usually write with letters whose total length is close to the dark portion, you won’t see much or any shading. How can you fix that? Write bigger! By making your writing bigger, your line length increases, which means you should get more variety in the dark and light parts of your writing. Here’s an example using the exact same paper, pen and ink. When my writing is smaller, it has more dark ink and when it is bigger it has more light ink. While technically the bigger writing has more shading, some people might find the smaller writing to have more impact simply because the amount of light ink in it emphasizes the shading even more. Another way to get better shading is to print versus writing in cursive. When you write in cursive, you don’t typically lift your pen off of the paper. The constant lifting of your pen is what causes ink to pool and flow. When you print, you lift your pen much more often, so you end up with more shading in your writing. 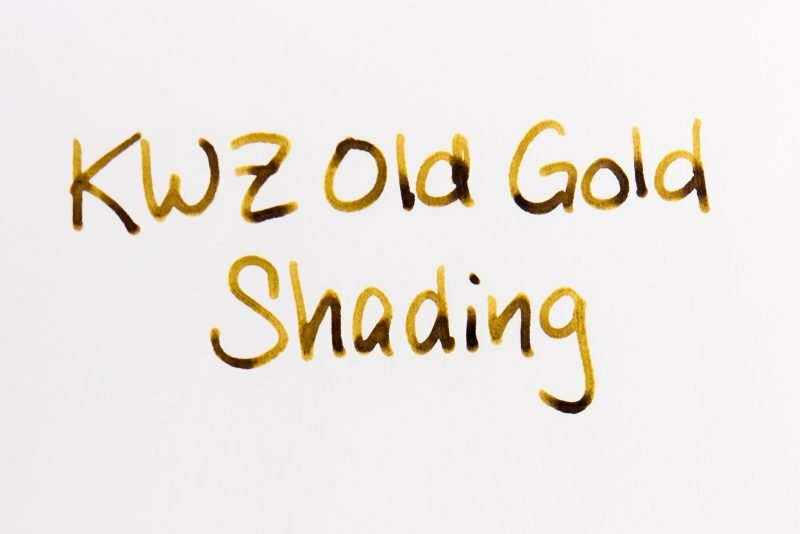 If you enjoy shading in your handwriting, hopefully you found this helpful and are able to increase the amount of shading in your writing from now on. I know that I don’t always want really heavy shading, but it can be a lot of fun once in a while. 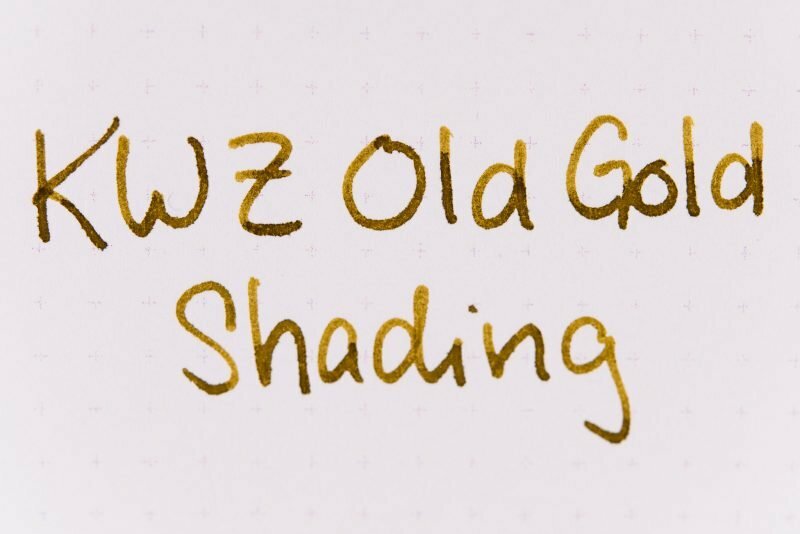 If you don’t really enjoy shading very much but still want your handwriting to look more interesting, consider an ink that has a lot of sheen instead. Interesting – thank you John. I noticed another affect in your examples: where the outline is dark with a noticeably lighter fill. Two examples in particular – the ones using PenBBS #178 Rose Quartz. I like the effect. Is it a quality of that ink? You’re welcome, Noel. I think the dark outline with lighter fill is actually more a product of the flex nib than the ink. I need to experiment with it a bit more with some really wide nibs that don’t flex. I’ve only ever noticed it with flex nibs. Great article! I had noticed a couple pens tend to shade more but learned several tips here. And also found a few really nice looking inks to try. Thanks! Thank you Shimniok. Glad you picked up a few tips and also found some new inks to try! Enjoy! Thx, John. Great info, well presented!!! You are most welcome, John. Thanks for reading! I love shading so much, I won’t buy an ink unless I know it shades well. A couple of years ago, I started printing instead of writing in cursive so that I could get more shading. I also favor wider nibs and stubs for the same reason. Thanks for a great article. I’m seeing a couple of nice inks here I want to try! Shading truly is an amazing property. I’m starting to feel the same as you and tend to avoid the really sheeny inks, instead favoring the inks with more shading. Thanks so much for reading and leaving a comment! Very informative and well written article, John. Thanks! Thanks so much for reading, Michael!